It is indeed unfortunate that this violent act of Umar set a precedent for future khalifa's, namely that a khalifa should secure bayya at all costs, and by whatever means he wishes albeit through intimidation, threats and violence. If threats could be made to the daughter of Rasulullah (s) then threats could be made to anyone. This is why the Salaf Imams / Khalifas that followed deemed Umar's actions as a model of best practice; a precedent had been set namely that it was lawful for duress to be used to secure compliance. That is why we had the fasiq 6th Imam of Ahl'ul Sunnah Yazeed seeking to secure the bayya of Imam Husayn (as) who could point to Umar's actions as proof of the correctness of such an approach - namely that it was perfectly okay to terrorise Ahl'ul bayt to get your way. 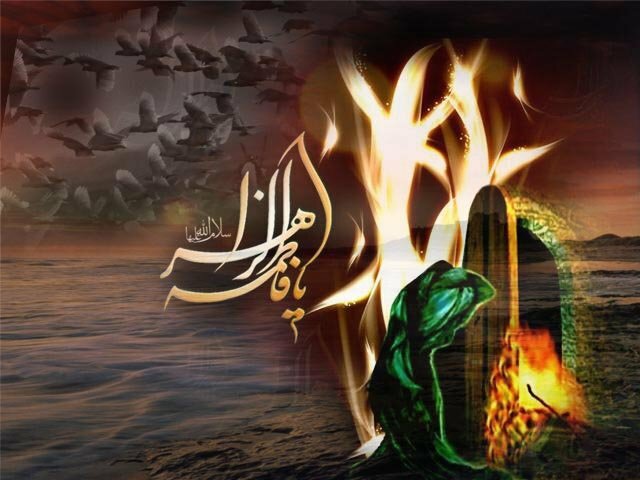 It is indeed tragic that the fire that Umar brought to the house of Sayyida Fatima (s) set a chilling precedent, and left a trail that lit the tents belonging to Sayyida Fatima's daughters on the 10th of Muharram. Hajjaj bin Yusuf adopted similar methods of intimidation to quell opponents, and indeed this 'legitimate approach' continues until today. (Hajjaj bin Yusuf committed purges and genocide of men just like Vlad the Impaler (Dracula) did in Europe, women and children were killed, human beings insanely tortured though this is forbidden in Islam, killing hundreds of thousands of Muslims down to babies. He is applauded by many Sunnis today as he did some work on the grammar of the Qur'an! Oh yes, that forgives all, doesn't it! He was just a boy having a tantrum!). If today the masses complain of oppression and intimidation by their rulers they should know that their rulers' actions are perfectly lawful since they are adhering to the Sunnah of the Shaykhain. The Arab world has been ruled by many terrorists who they have hailed as heroes and years later they have glorified them with romantic fairytales�history is, after all, written by victors, and the victors in this context were the Nasibis. You may applaud them, as some Nasibis have, but whatever you feel inside, terrorism is against the laws of Allah (sawt) and His Prophet, and the terrorist burns in Hell where Allah (sawt) will terrorise him. Now we can see where Hajjaj, Saddam and Usama bin Ladin get their bad habits. There are some Muslims in this day and age who applaud terrorists who kill innocent women and children. There are others who don't like to condemn them, even though deep down they know it's wrong, simply because they get a kick out of getting their own back against their persecutors. There are others who will cover up their actions. And so it is with the Nawasib and their ugly past.